A large majority of immigrants to Alberta integrate into the workforce within a few years of landing, new data from Statistics Canada show. According to the data — compiled from administrative, immigration and tax records up to the 2014 tax year — around 60 per cent of refugees that landed in 2014 had employment income. However, that number grows to about 80 per cent for those who had been in the province for a year. "That's right where the typical non-refugee person is too," said Trevor Tombe, an economist at the University of Calgary. The numbers do not not include refugees who started their own businesses or had self-employment income. They also do not take into account the economic downturn or the influx of Syrian refugees into the province that began in late 2015. 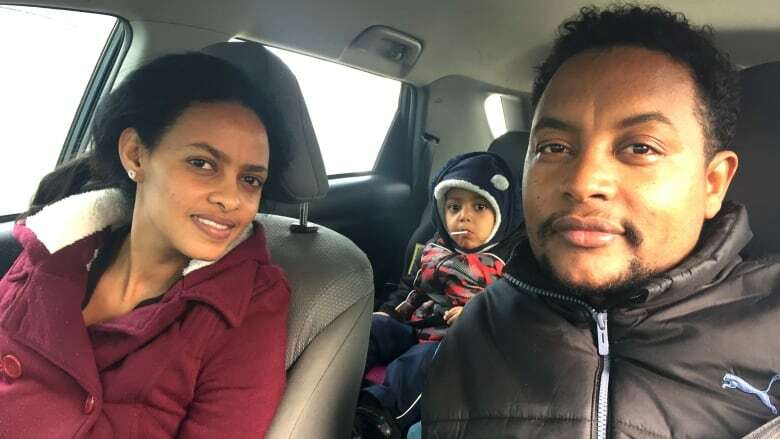 Eritrean refugee Yonas Hiale Solomon has been in Calgary since last March. "Now I think there's no work, not easy find a job, very hard, economy, the payment is very small payment," he said after picking up his wife from her English classes. Tombe said Solomon's wages should improve with time. "I think the general pattern is pretty clear that from the point when a refugee arrives in Canada, the income is fairly low ... but that grows fairly rapidly," he said. "The average refugee, very quickly, begins earning employment income." It's a similar story for other immigrants, including skilled workers, family members sponsored by Canadian citizens and business immigrants. On average, however, refugees earn less than other immigrants — a difference Tombe suggested could be related to challenges with language skills. "This will certainly limit one's earnings ability in the labour market, and refugees — not surprisingly — face the biggest challenge in this regard," he said. "But this should dissipate through time." Across the country, Tombe says the earning patterns of refugees are fairly similar. "It's true for Canada as a whole that employment income rises at a pretty rapid rate from the moment that a refugee arrives through time. It's also true that the share reporting employment income rose pretty quickly after landing," he said. Tombe said refugees in Alberta have the best outcomes in terms of employment income. "[It's] much higher among refugees in Alberta than in other provinces," he said. "We also have the highest employment rate, lowest social assistance rate, and that's true just because Alberta has the strongest economy, even today, in the country."